One reason Android never loses its charm is customization. From wallpapers to icons to animations, users can almost change anything they want. That is what makes Android Android. Still, some customization features are not baked into stock Android and they require root. One of those features is themes. And when we talk about themes, we have to mention Substratum. It is the go-to app for rooted users to change themes with just a few taps. But like we said, it requires root. But, with Android 8.0 Oreo that is all set to change. Users will no longer require root and Substratum themes will be usable even on unrooted phones. Now, Substratum had been teasing the modding community about this upcoming new addition and it is here now. 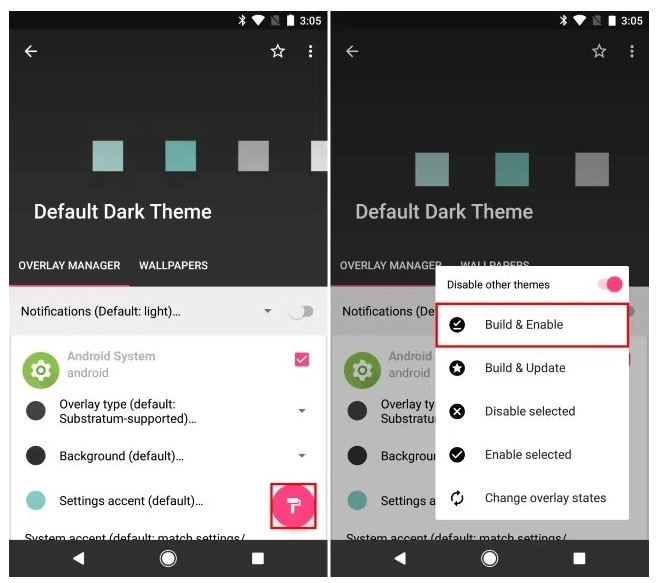 So, today we take a look at the method to apply Substratum themes on Android Oreo without root. The devs of Substratum have released an app called Andromeda. Substratum itself requires root, but with Andromeda, we will elevate Substratum’s permissions to work on even unrooted Oreo devices. The procedure is not a big a hassle too. If you’ve done root and aware of the basic terms, then you can do it. Also, once you restart your phone, you will have to elevate the permissions once again. At the moment, there isn’t any workaround for this, so we will have to make do. Although, the themes enabled previously will stay. Note: Once you restart your phone, you will have to elevate the permissions once again. At the moment, there isn’t any workaround for this, so we will have to make do. Although, the themes enabled previously will stay. First off you have to enable USB Debugging on your Android Oreo device. Go to Settings -> System -> Developer Options, and enable USB Debugging. After this, open the Andromeda app, it will show “Disconnected” in a big red box. Now, download the Andromeda PC client from here and extract it to a folder on the PC. Now, connect your phone to your PC and run the start_andromeda.bat file from the extracted folder. A new DOS command prompt will open and ask you to “Press any Key to Continue”. Press any key. This should complete the permission elevation. Now, when you open the Andromeda app it should show “Connected” in a green box. 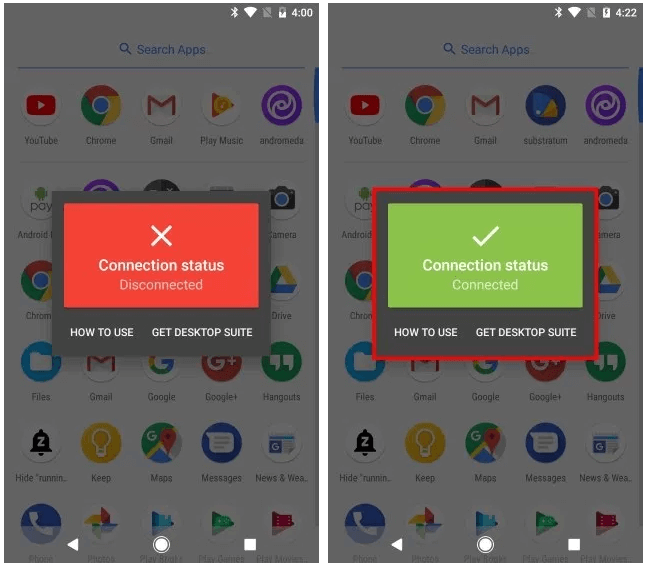 In some devices, Substratum opens automatically after the permissions are elevated. This was the main process to get Substratum up and running. Once that happens, finding and applying a theme is piece of cake. Just go hunting for an interesting theme on the Play Store. Install it, and open Substratum app. Select the theme and apply all the toggles you wish to. Then tap on “Build & Enable“. This should apply the theme. Let us know if you are planning to use Substratum on Android Oreo with this guide. Because I sure am planning to do it.